The hours of operation are Thursdays and Saturdays from 9:00 am to 12:00 pm. Also on Sundays after services from 12:00 pm to 1:00 pm, GUUF members and friends may shop, and donations are also accepted at this time. The Sunday schedule is subject to change due to other events. For even more amazing deals, check out our monthly Bag Sale! On the 1st Thursday and Saturday of each month, fill a grocery bag with clothes, shoes and books for $6! Audrey’s Closet, also known as the Thrift Store, was started in 1995, one year after a contract to buy the property on State Park Road was signed in 1994. 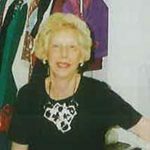 It was a member’s idea– Audrey Clute’s, to start the Thrift Store. The lower part of the annex building was operated as a Thrift Store by the former owners, The People’s Bible Church. Audrey bought some racks from a retail store that was going out of business. There were, initially, only 2 rooms that were used. Bill Wunch and David Beeson built bookcases and shelves. Nona Beeson was in charge of seeking helpers along with Evelyn Sangster. The third room was initially a storeroom and the fourth room was used for meetings. The 3rd & 4th room eventually became part of the Thrift Store. 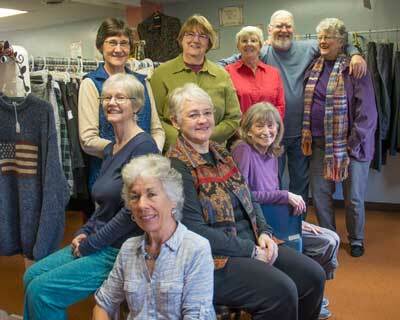 When Evelyn Sangster moved to Vermont, Linda Turner took charge of the Thrift Store. Long-time members, Linda Molnar, Charlotte Donn, Johnny Floyd, Luella Bauer and Carole Lavash have years of service, working on Thursdays. There are also other members who work on Saturday. Donations came from members and friends. Articles have been donated to the Battered Women’s Shelter (Safe Harbor), Salvation Army, Greenville Free Clinic, Gateway House, GAIHN (Greenville Area Interfaith Hospitality Network) Southern Side, Habitat for Humanity, Roland-McFerrin House, Men’s Mission House (Miracle Hill) Steven’s House (AID’s home for Men) the Greenville Prison System, GUUF Religious Program, UU World of Children, African Outreach Program and Peru Outreach Program. Cell phones, soaps & shampoos are donated to Safe Harbor. Eyeglasses are donated to the Lions Club. The proceeds have benefited the financial support of our Fellowship. Articles are also included in the Fellowship Auction.